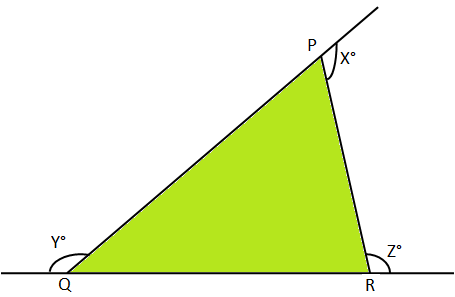 Here we will solve different types of problems on comparison of sides and angles in a triangle. 1. 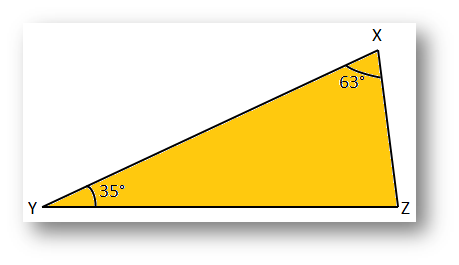 In ∆XYZ, ∠XYZ = 35° and ∠YXZ = 63°. Arrange the sides of the triangle in the descending order of their lengths. ⟹ XY > YZ > XZ, as the greater angle has the greater side opposite to it. 2. In a ∆PQR, QR = 6 cm, PQ = 6.7 cm and PR = 5 cm. Arrange x°, y° and z and z° in the ascending order. Given that PQ > QR > PR. Therefore, ∠PRQ > ∠QPR >∠PQR, as the greater side has the greater angle opposite to it. ⟹ z° < x° < y°.